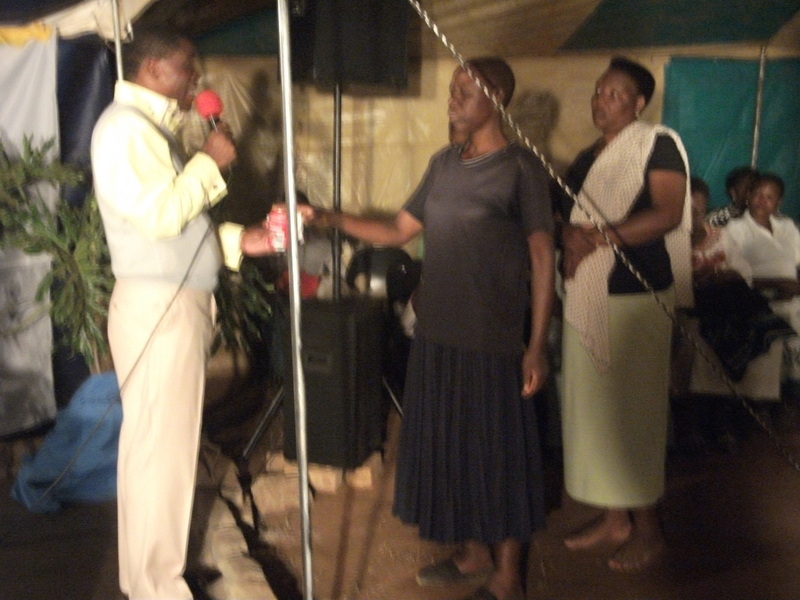 “The Church that is in Transition ”, by Rev Samuel Mametsa, Mphambo Crusade, Day 5, the 28th of March 2012. 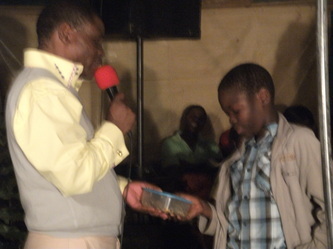 A boy dancing unto the Lord! You can’t come to the house of God and still leave with the same problems. Otherwise it’s like we are wasting our time. Jesus Christ is the one who delivers. The church that is in transition is a church that changes. Transition is to take something from one level to the next. If you are in a church make sure you are in a church that is growing. How does the church grow? Through the members of that church. The church must grow through those members. Today you find people who want to be become born again in church but they only want it to be for them alone and they leave the other people like their families out. That is selfish and self centered. The church must appoint people in the church who will help to manage and run the church. The people in the church must go out to evangelize and to bring in new members into the church. What is the church in transition? A church that is growing. “2 For as the body is one and has many members, but all the members of that one body, being many, are one body, so also is Christ. 13 For by one Spirit we were all baptized into one body — whether Jews or Greeks, whether slaves or free — and have all been made to drink into one Spirit. 14 For in fact the body is not one member but many. 15 If the foot should say, "Because I am not a hand, I am not of the body," is it therefore not of the body? 16 And if the ear should say, "Because I am not an eye, I am not of the body," is it therefore not of the body? 17 If the whole body were an eye, where would be the hearing? If the whole were hearing, where would be the smelling? 18 But now God has set the members, each one of them, in the body just as He pleased. 19 And if they were all one member, where would the body be? 20 But now indeed there are many members, yet one body. 21 And the eye cannot say to the hand, "I have no need of you"; nor again the head to the feet, "I have no need of you." 22 No, much rather, those members of the body which seem to be weaker are necessary. 23 And those members of the body which we think to be less honorable, on these we bestow greater honor; and our unpresentable parts have greater modesty, 24 but our presentable parts have no need. But God composed the body, having given greater honor to that part which lacks it, 25 that there should be no schism in the body, but that the members should have the same care for one another. 26 And if one member suffers, all the members suffer with it; or if one member is honored, all the members rejoice with it. 27 Now you are the body of Christ, and members individually.” 1 Cor 12:12-27, NKJV. Here we hear Paul telling the church in Corinth. Why did he have to detail this scripture? There was a conflict in the church and the members did not understand why they were serving in church? He explained in detail to them. He likened the church to a body. Today we find that churches are not in unity and some of the pastors do not even greet each other. Everybody is looking after his own church and Paul told them that Jesus Christ did not die for this. This is why we need a church that is in transition. When we talk of a church in transition we talk about a growing church, a united church, where the members support each other, not butchering each other. In the church every member has his or her duty and none of those members is more important than the other. The same goes for the body; every part in the body, visible or invisible plays a very important role in the body. For e.g. you have ears, mouth, nostrils, hands etc which of these parts is not important? All these parts are very important. All these parts can make your body to be ill. That is why Paul said take your body as an example. There is no church that can walk alone. Every church needs the other church. All the churches are serving from one body, Jesus Christ. The surprise is that these churches do not love each other. Jesus Christ did not come to divide the churches but He came to break the bridge between the churches. We can’t take Jesus Christ back to the cross. He has already been there. 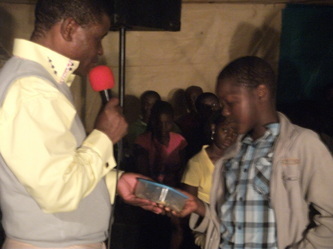 You can claim that you are serving God whilst you are serving the devil in style. Before Jesus Christ was killed on the cross the different tribes, cultures were all divided, e.g. Venda, Shangaan, Xhosa and Jesus Christ said this must come to an end. We find that in our country in the past even the government divided the people according to tribal lines. Jesus Christ died so that there will be unity. How many parts are there in the body? Which part in your body is the least important? There is none. When God put each part in our bodies He knew that each one had a purpose. Paul is explaining that if we cut a part out of the body it means that the whole body will suffer. This means that your body needs that hand, the eye, the ear etc. Your ear looks very like a very small part in your body but if it can start to ache the whole body will go to sleep because of the pain. If the eye can start to ache, you won’t go anywhere, you will sleep. It is when the eye and ear shows you that I have a part to play in the body. If your mouth can go on strike what will happen when you become hungry and the mouth refuses to open? This means that your mouth is very important in the body and that is why the hand will pick up the food and take it to the body. Paul was saying to the church in Corinth; “You need to love each other irrespective of the number of churches.” The one church is the ear, the other is the eye, the other is the leg and they need each other. It means in the church we must work together. Some people are so stubborn. When they come to church, they are not co-operative. When it is announced that tomorrow we are going to clean the church they look down and when asked what time do we come to clean. They will say 1 o’clock and then they come at four. The church in transition doesn’t behave like this. They keep their promises. They are not ignorant people. Most people think the church belongs to the pastor but that is a lie. It is the church of Christ. The pastor is just the pastor of the church. Have you ever heard the one body partner saying “We must punish this leg, it takes the body to the wrong place, it is out of order?” The mouth cannot say, “Hey you legs, you took me to such and such a place and I got injured.” As the church we must love each other. The church that grows is the one which respects the leadership of the church, the pastor and his wife. Some people are so ignorant that they will gossip about their pastor and his wife. This is an application form for a curse. “15 Saying, Touch not mine anointed, and do my prophets no harm.” Ps 105:15, KJV. Remember that when Aaron and Merriam gossiped about Moses God was listening. The problem about people who gossip is that they will say “Don’t tell anybody.” “Yes, I will not tell anybody.” “The pastor is doing this and that.” The other person goes and tells the same to his friend and it goes on and on. The first person is the one who is wrong. He says “Don’t tell anyone.” but he is telling someone, you. Does it make sense? He will say it is a secret. But if he is already telling you how can it still be a secret? You must let the person speak and when he is finished speaking you ask him “This is no longer a secret, you have already told me and I am going to tell so and so.” Why must he tell you his secret but he doesn’t want you tell anybody? He wants to shift the burden to you. When now the owner questions you as to what happened, that person will end up saying this one (referring to you) told me. There are people who are hiding in the church, but they are great back bitters. They are the Mnet of the church. They even know the problems that occurred during the middle of the night. This is done by a church that is not in transition. Especially women, they love news (gossip). You will find a woman very early in the morning, before washing her face and still in her night gown, standing along the fence and asking the neighbour, “Did you hear?” She will be having a towel around her waist. When the neighbour says “What happened?” “You didn’t hear. So and so, the husband was beating her during the night.” the neighbour will ask “How do you know?” Don’t allow people to do this to you. What makes this person to come so early? She wants to be the first to spread the news. She doesn’t want anybody to beat her to the race. That is why the first question is “Did you hear?” and if you say “No”, she will say “Neighbour let me come in and tell you” and you will end up making coffee for that person. Rather than gossip about somebody, pray for that person. Christians can demoralize each other, the bible says if somebody has fallen help him to come up again. Don’t laugh at the person, because tomorrow it may be you. As long as you are alive, that problem can come to you tomorrow. The bible says every partr in your body has a partr to play. Even if it is a small part it has a part to play. When one part is sick, the whole body must go to the doctor. You can’t say this part is too small it must go to the doctor on its own. When you have a headache, why don’t you just cut the head and leave the rest of the body working at home and take the head to the doctor? I have heard people who go to their bosses in the morning and say “I am not well, my leg is painful.” The boss will never say, “Cut that part and take it to the doctor”. No, he will release the whole body. If you decide to go to Shoprite, the whole body must go. The legs cannot say, “I am remaining behind, you go”. If the legs say I am not going, it means the whole body will not go. For the church to grow it needs unity and respect and fear of the Lord. Most people do not fear the Lord. If you fear the Lord, you will be able to respect your pastor because you know that God is the one who sent Him to come and lead the church and to guide you. The bible says the punishment of the pastors will be more than for the other people. It is up to the church to pray for their pastor. The pastor is a human being like yourself. The pastor is not an angel. The members of the church in transition must also pray for the members of the church leadership / committee. We have not been given the spirit of gossip. When you gossip God is listening to you and the curse will come back to you. The bible says no weapon fashioned against you shall prosper. When the weapon is fashioned by one Christian to another Christian it will come back to that Christian and the Christian will be blind as to who sent that weapon to him or her and in such a case no pastor can pray that curse away. Aaron and Merriam said “We can also hear God.” God was listening. In some churches some people are saying “I can preach better than this pastor.” God went to Aaron and Merriam and told them “I have heard all you have said. When I appointed Moses where were you?” The bible says those who fight my annointed are fighting Me. Where were you when God appointed your pastor? 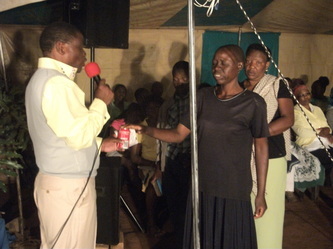 That is why there is too much poverty in the church. People cannot tame their tongues, if you gossip against your pastor to somebody else; you put a curse against yourself. If somebody does something in the church do not judge, pray for the person. “30 Let both grow together until the harvest, and at the time of harvest I will say to the reapers, "First gather together the tares and bind them in bundles to burn them, but gather the wheat into my barn. "'"” Matt 13:30, NKJV. The bible says let the wheat and the tares grow together. Why should you judge? If you are one of the parts of the body, which part would you love to be? I would choose to be the hand. Why? The hand takes care of the whole body. They wash the hand, take food to the mouth, when a part is hurting the hands take care of it, when you fight, you use the hand, when you fall you support yourself with the hand. The hands play a very important role in the body. If the back is painful it is the hands that will touch and cares the back but still the other parts are as important as the hand. The bible says 1 Cor 12:13 “13 For by one Spirit we were all baptized into one body — whether Jews or Greeks, whether slaves or free — and have all been made to drink into one Spirit.” NKJV and verse 16 says 1 Cor 12:16 “16 And if the ear should say, "Because I am not an eye, I am not of the body," is it therefore not of the body?” 1 Cor 12:16, NKJV. Verse 26 1 Cor 12:26 “6 And if one member suffers, all the members suffer with it; or if one member is honored, all the members rejoice with it.” 1 Cor 12:26, NKJV. The labor unions seem to understand this concept very well: an injury to one is an injury to all. Why is it that the world knows and understands this but the body of Christ doesn’t? We are delaying the coming back of Christ. Someone will say “My church is better than that other church.” Who told you? It is only God who will judge? 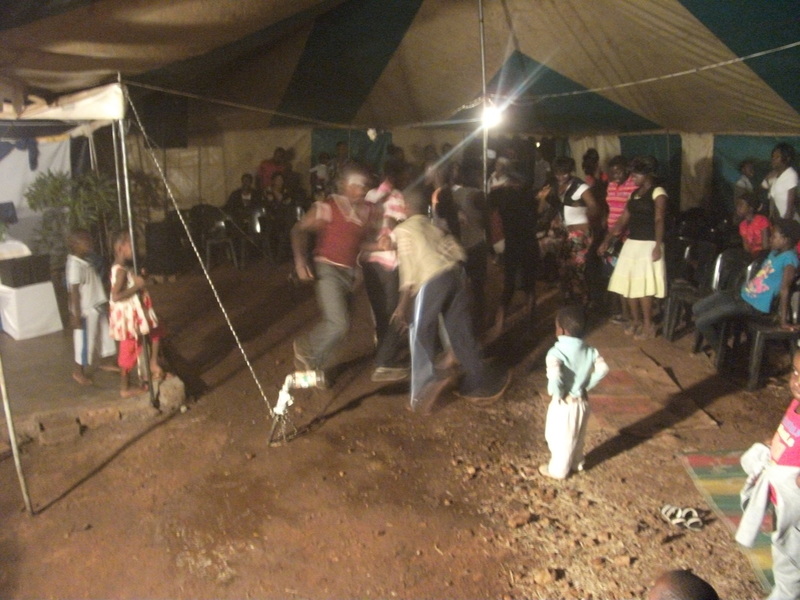 Why do we tell people not to go to this or that church as it is not good for them? You will find that sometimes you are the one who is wrong. Jesus Christ said let the tares and the wheat grow together.